As you probably know by now, if I had my way I’d transform my life into an episode of The Good Life. I frequently sit with cups of tea absorbing the pages of Country Living and wishing I was surrounded by vegetable plots, flowerbeds and chickens. I love watching things grow and cutting flowers from the garden and bringing them indoors, and likewise I adore hoofing vegetables out of the ground and throwing them in a stews and soups. 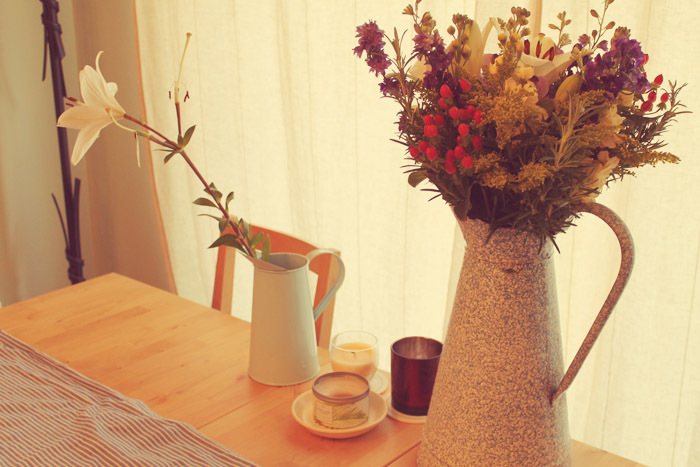 I think it’s safe to say we all love the pleasure of having a vase full of fresh flowers on the table and yet did you know that only 10% of the flowers sold in the UK are grown here? 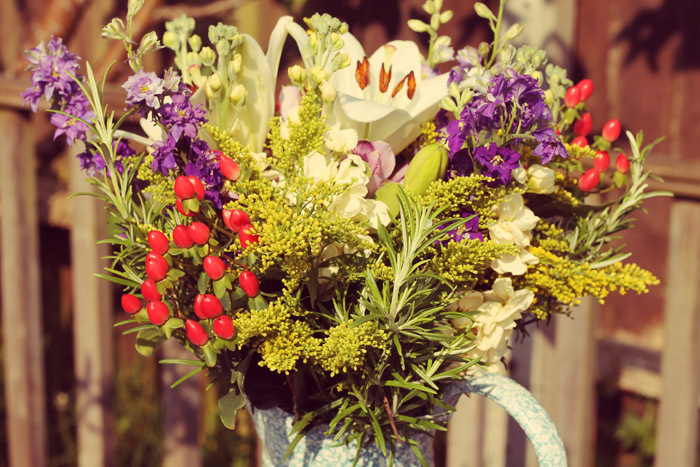 The Great British Florist was launched in 2012 with this in mind – all their flowers are grown and sown on British Farms; reducing air miles and emissions and meaning flowers stay fresher for longer. Their own cutting patch on Lower Blakemore Farm in Herefordshire is a haven for bugs, butterflies and birds, meaning that by buying their flowers you’re supporting British Farms and British wildlife. All of these things make me happy. 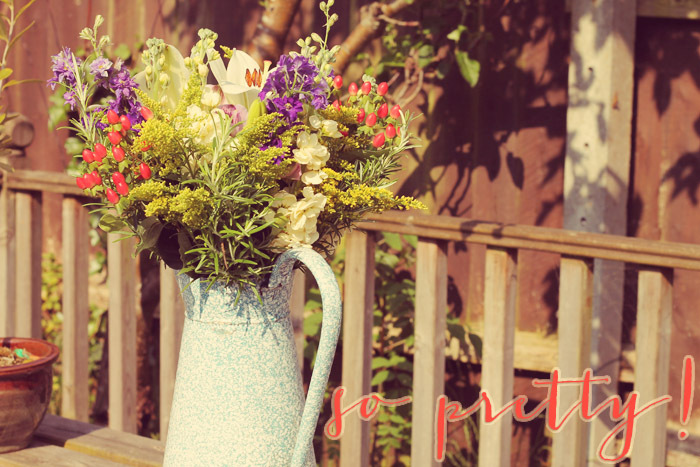 The Great British Florist business is part of the family enterprise based on the farm, which also hosts Wiggly Wigglers, which sells things for composting, wormeries, bird feeders and a whole host of other garden supplies. The farm also has crops, animals including cows, pigs and chickens, wildflower meadows, ponds and woodland. I wonder if they’d let me move in? 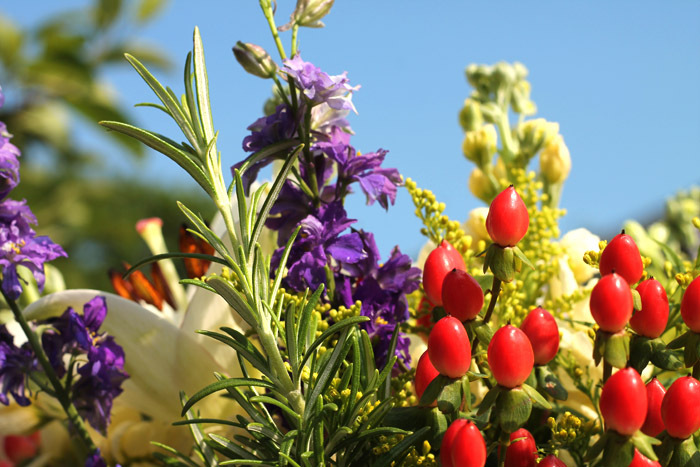 The Great British Florist sells posies, bouquets and flower boxes, along with catering for weddings and funerals. The wedding flowers look just beautiful, they say that their Bridal Bouquet looks “as if you have just gathered your flowers in the most loveliest of English Country Gardens on the way to your big day” – hand-tied with vintage lace or ribbon. I can’t imagine anything more perfect on your wedding day than looking like you’ve just been gathering flowers in a meadow – they even do a floral headress! They kindly gave me a gift card to try out their site, and I purchased their Bouquet of the Month*, which cost £40. At no extra cost you can choose the delivery day and I chose a day a couple of days after ordering and they arrived as promised. The box looked like it had rather been in the wars and was a bit dented and ripped (the fault of the postal service, not theirs!) but thankfully the flowers inside were pristine. I put them in a vintage enamel jug from my Mum’s website and they just looked breathtaking. I photographed them in the garden but of course they really have pride of place on our dining table. They bring such cheer and colour to the room, it’s impossible not to smile when you walk in! Overall I’m thrilled with the flowers and highly recommend the site. I feel really strongly about supporting independent businesses and British Farmers so this one is a win-win for me.